Blackjack is one of the popular casino card games played online and at land-based casinos. The casino game is as old as other classic table games such as baccarat and roulette. It is popular for a number of reasons including that it is fairly easy to play. More so, it gives punters a realistic chance of having a positive outcome. Of course, players need to learn how to play blackjack really well in order to achieve this. You may be familiar with the basic concept, but do you hold the right blackjack cards? Do you know how to play blackjack correctly? Read on to learn how to play blackjack like a pro using this step-by-step guide. Playing blackjack doesn’t entirely depend on luck. So, there are various decisions that players need to make. This is what keeps the blackjack game engaging and exciting to play. Usually, the game is played with four or six decks of cards. But, “Single Deck” blackjack is also possible depending on the casino you’re playing at. The aim of blackjack is getting a hand as close to 21 as possible. Hence, the blackjack game is also known as 21. 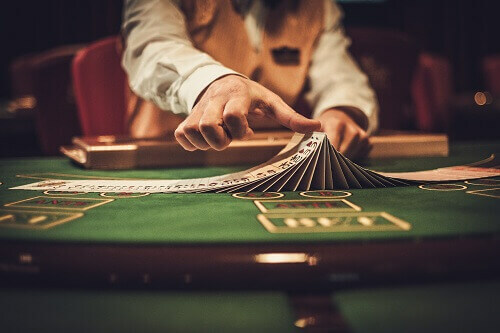 So, how to play blackjack at a casino and win means you need to get a hand that totals 21 or as close to 21 as possible -without exceeding it. Place your bet – Usually, there are seven seats at the blackjack table. So, claim your spot. Get your cards – You, the other players and the dealer will be dealt two cards. Make a decision -Decide if you want to stand, hit, split or double down. 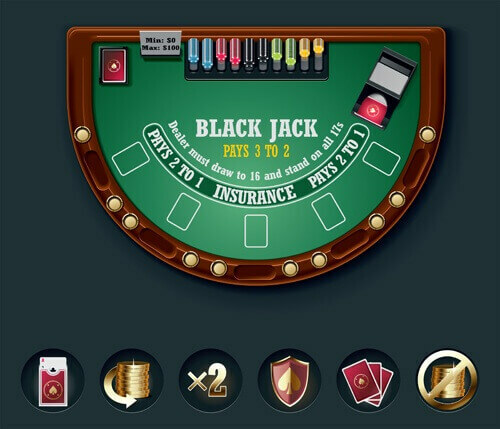 The game also offers what’s called ‘blackjack insurance, which we will explain later). Wait for the dealer’s revelation – Once all players on the blackjack table have made their decision, the dealer will reveal the value of their second card. Should the dealer’s hand total 16 or less than that, they MUST Hit. Should it be a hand value of 17 or 21, they must stand. The dealer is Bust if a Hit result exceeds 21. Find out if you’ve won – To play blackjack and win, you will need to have a hand totalling 21 or as close as possible. Should the dealer have a hand as close to 21 than yours or should your hand exceed 21, they win. Collect your money – Blackjack pays out at the end of each round. So, in the previous section we mentioned terms; hit, stand, split, double down and blackjack insurance. Your blackjack win will depend on these, because after all you will need to pick one. Below is a quick brief of each to help with your blackjack gameplay and decision. Blackjack Hit – is essentially requesting to be dealt another card if you’re not happy with the hand that you have been dealt. Careful you don’t get a hand that will exceed 21. Blackjack Stand – you choose to stand if you’re happy with the card you have been dealt so that you don’t get dealt any more cards. Blackjack Split – players can opt to split their cards given that they have two cards that make a pair. E.g. two aces and two sixes. Players need another bet equal to their original bet in order to do this. Blackjack Double Down – Doubling your initial bet in return for receiving one draw card. This means Mzansi players will receive double their payout should they score a win with a three card hand. Blackjack Insurance – a non-mandatory option. It is a separate bet from your original bet. So, say the dealer’s visible card is an Ace; your money will be placed on the outcome of the dealer’s down facing card – if whether it is a picture or a ten making a 21. This option pays 2 to 1 odds. Should you guess incorrectly, you lose your insurance side bet! Read more on online blackjack and the different variations.